As long as all the items you requested are in stock, any orders placed before 3pm (15:00) GMT will be shipped on the same day you placed your order. But please note that our warehouse and couriers only operate on weekdays, so any orders placed at the weekend will instead be packed and shipped on Monday morning. To ensure that the items you wish to purchase are in stock and available, please check those specific product pages. If your item is available, it will be described as “In stock”, or when only a limited number of that product are left, the quantity available will be displayed, for example as “3 in stock”. If the item is out of stock, it will be listed as “Available to order”, meaning you can still place your order with us, and we will pre-reserve those items for you. Your order will then be automatically fulfilled as soon as the new stock is delivered to our warehouse. The estimated time until we expect to receive that stock is displayed next to “Available to order” as for example, “Available in 1-2 weeks”. Please note that although these will always be our best current estimates, due to the complications of international shipping and customs clearance, delivery dates cannot be guaranteed until that stock has been physically received at our warehouse. If your parcel is to be delivered within the UK and your order is over £50 in value (including VAT), then your order will be delivered to you free of charge. If your parcel is below 2Kg in weight, then this free delivery service will usually be “Royal Mail 48 Tracked” (2-3 working days). 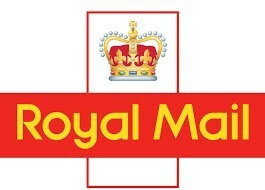 If your order exceeds Royal Mail’s 2Kg weight limit, then your parcel will usually be sent by “UK Mail Courier” (generally a next working day delivery). Please note that we do not ship any of our products to the following international destinations due to logistical, legal, regulatory or customs problems: USA, Canada, India, Nigeria, Turkey. We offer a range of courier options for all of our international customers, with a choice of speed and costs so you can choose the most appropriate service for your needs. Costs will be estimated for you when you add items to your shipping basket, and these costs will be confirmed during the checkout process after you provide us with your delivery address. Although we do not offer any free international shipping services, all services are simply charged at the price we pay that courier. Estimated delivery times are shown next to each courier during the checkout process, but please note that these are only estimates. Due to the complications of international shipping and customs clearance, delivery times cannot be guaranteed for any of our courier services. However, for urgent deliveries our premium courier services such as “UPS” and “DHL Express” will always be faster and more reliable than our economy services, such as “Aramex” and “Royal Mail”. On the evening that your order is shipped, you will automatically be sent an email with the tracking number for your parcel and a link to the website of the courier you requested. Please follow the instructions within that email to track the progress of your parcel as it finds its way to you. Finally, please remember that we are here to help. If you need assistance with any aspect of your order or your delivery, please feel free to Contact Us and we will do or very best to help.